A rendering of luxury villas at the South Bank project in the Turks and Caicos. Sapodilla Bay Beach, Providenciales. Many of the island's smaller beaches are popular sites for vacation villas. The Turks and Caicos has an active real estate market, and there’s a wide selections of realtors to choose from. Many of the local real estate agencies have been established since the early 1980s and 90s and have decades of experience in the local real estate market. Both independent and internationally-affiliated agencies exist. Most agents are located on the island of Providenciales, however they typically list properties across the country. It's possible to obtain a freehold on land purchases. Some areas of the island are parts of private developments, and may be offered as a leasehold (as opposed to a freehold). 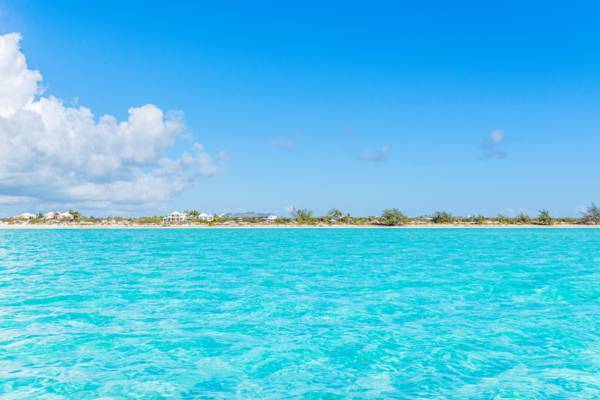 There are no restrictions on foreigners purchasing and holding land in the Turks and Caicos Islands. In other Caribbean countries, such as the Bahamas, it's a requirement that foreigners register purchases with the government, and require that a special permit be obtained for larger purchases. Furthermore, capital controls can impede the sale of land. There are none of these requirements in the Turks and Caicos. There is also no property tax in the Turks and Caicos. As is the case in any locale, realtors are attempting to make a sale. 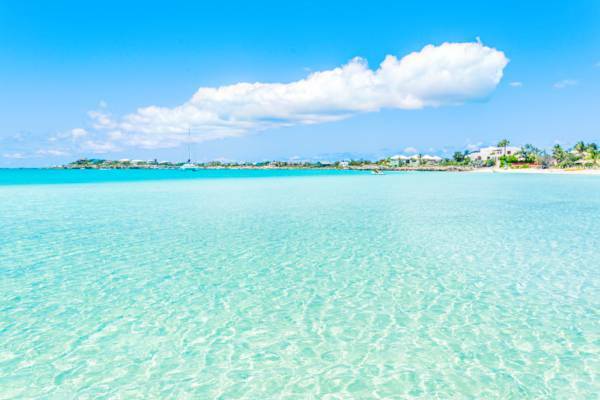 It’s essential that you obtain a minimum of knowledge about the Turks and Caicos and its islands and regions so you’ll make an informed purchase. Talk to locals, learn about locations, and form your own opinions before contacting a real estate agency. There’s a large number of real estate agents in the Turks and Caicos, including those that practice part time and full time. There isn’t a high bar to entry for entry to realty, so many agents practice as a means to supplement other income. This isn’t necessarily a bad thing, yet it does mean that some agents may be inexperienced. Part time agents typically accept lower commissions, but it may make sense to scrutinize documents and deeds. 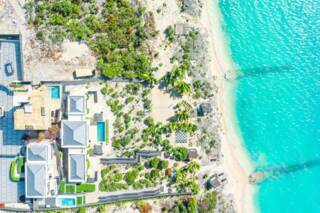 In the Turks and Caicos, a relatively few agents account for the majority of sales, especially considering collective value. Your real estate agent should be able to offer a basic overview of the legal requirements of residency in the Turks and Caicos, and what your investment or purchase entitles you to. They should also be able to outline the applicable stamp duty rates. Villas and vacant real estate at Long Bay Beach. How Many Properties Does the Agent and Real Estate Firm Represent? If a real estate agency is listing and selling a large number of sites, there’s typically a reason. Ask to see recent sales. How Long Has the Agent Been Practicing? Similar to the consideration of the number of properties that a realtor lists, if an agent has been practicing for a significant period of time, it may be beacause they're good at it. 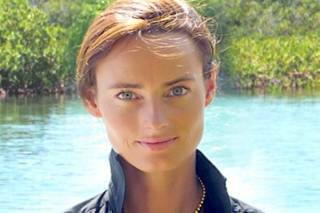 Is the real estate agent knowledgeable about our islands, zoning, protected areas, and relevant law? There have been cases of misrepresentations in the past on the possibilities for development of parcels. There's several different types of both residential and commercial zoning, and it's important that depending on your needs, your desired parcel is zoned appropriately. What Past Sales Has the Real Estate Agent and Company Made? A great indicator of an agent are the previous sales made by both the real estate agent and agency made. If they’ve sold a number of properties similar to what you’re looking at, they’ll likely be successful and a fit. It’s common for condominiums and vacation villas to be rented out for short-term stays when the owners are out of the country, and this fact is often used as positive of buying real estate in the Turks and Caicos. Does your perspective realtor offer a realistic sense of possible income on an investment? In many cases, especially properties with strata and villa management fees, rental income may not be as high as initially suggested. The local TCREA trade association is composed of the majority of real estate agents and firms in the Turks and Caicos Islands. They operate the multiple listing service (MLS), which is a centralized database of most (but not all) properties offered for sale via these agents in islands.